I was asked by Carla if I could do up a layout with some Cosmo Cricket papers for a crop session for the ladies in DB. I originally asked for the Tea for Two collection, but got the Baby Jane line instead. I'm glad I did as the embellishments are very cute and the sewing/embroidery/stitching design is very on trend at the moment. Cosmo Cricket always has a great vintage vibe to their papers and embellishments. Since the collection is mainly based on sewing and stitching, I cut the papers into different sized patches to look like swatch patterns. 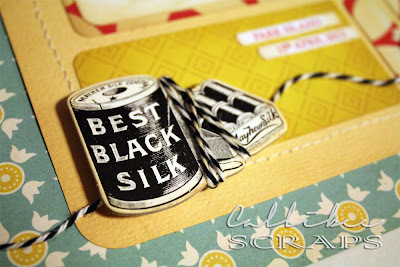 Adding a printed stitching font ties the title into the theme. 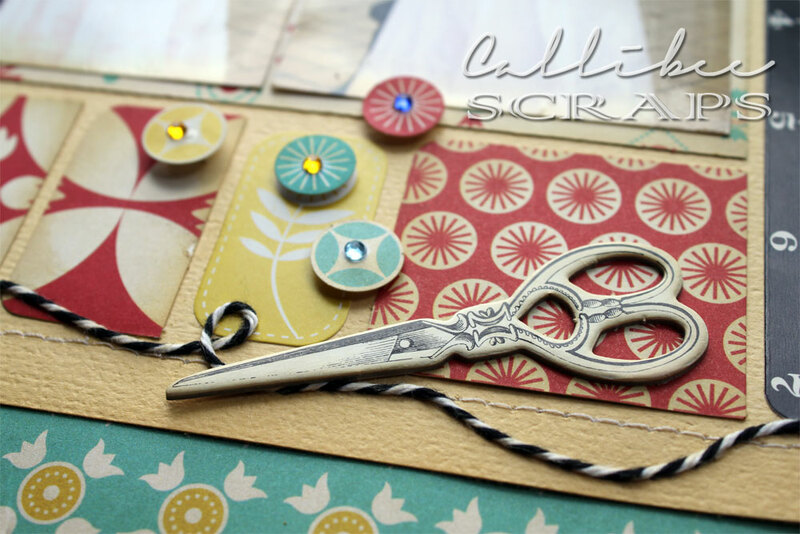 Cute vintage chipboard embellishments pulls the page together. Black and white baker's twine adds a visual anchor across the page. Small round stickers scattered strategically around adds a little whimsy to a precisely aligned page and balances out the other elements on the layout.